With a wide range of Domestic, Commercial, Swim Spa and Hydrotherapy tiled Spas, we are able to offer unrivalled luxury and fitness options to our clients. 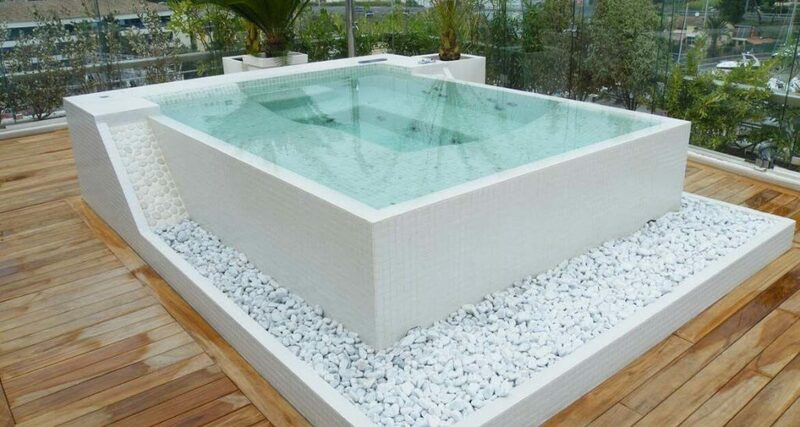 Whether you chose a Spa from our standard range or you want a bespoke tiled Spa to suite a particular purpose, we are able to provide the most advanced manufactured fibreglass Spas in Europe. Only The finest, marine quality, materials go into producing every Tiled Spa in our range. Hand built in a state of the art, ISO 9001 accredited factory, the passion for perfection runs through every Spa.